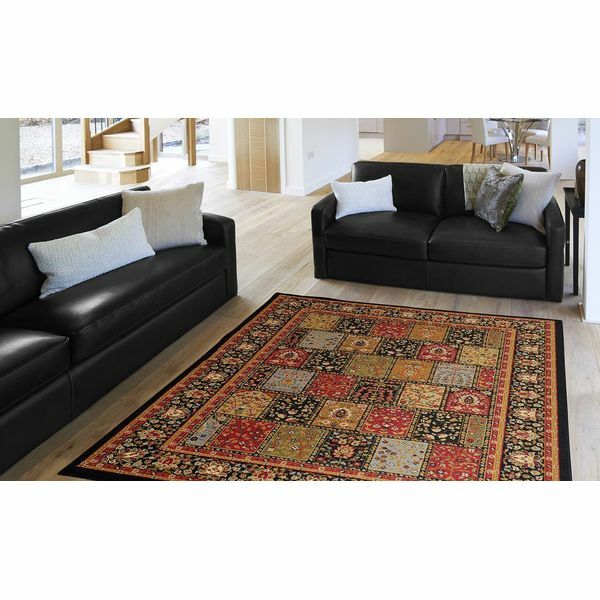 If you are looking for a rug that is an oriental work of beauty, this is definitely one worth considering. You will find that it features alternating shades of light and dark brown, which give it a picture-like appearance that is sure to impress others regardless of where you place it in your home. On top of that, you will find that it features plenty of interesting and abstract designs throughout the surface area of the rug, which makes it stand out even more. The rug is constructed from wool, and it is hand tufted. The timeless appeal of Persian rugs can be yours with the simple incorporation of this Generations New Oriental Traditional Isfahan Persian Area Rug. 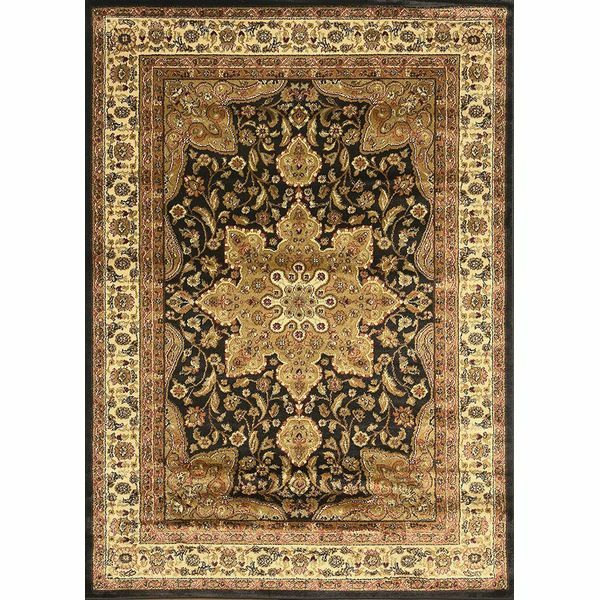 The rug features intricately designed traditional Persian patterning in warm brown and cream colors. The rug measures a large 13 feet by 16 feet in size. If you are looking to spice up your entryway with a classic rug, this would be one worth considering. It features gorgeous oriental styling, which gives it an exotic appearance. It uses a mixture light and dark colors with various designs that are sure to catch your eye. 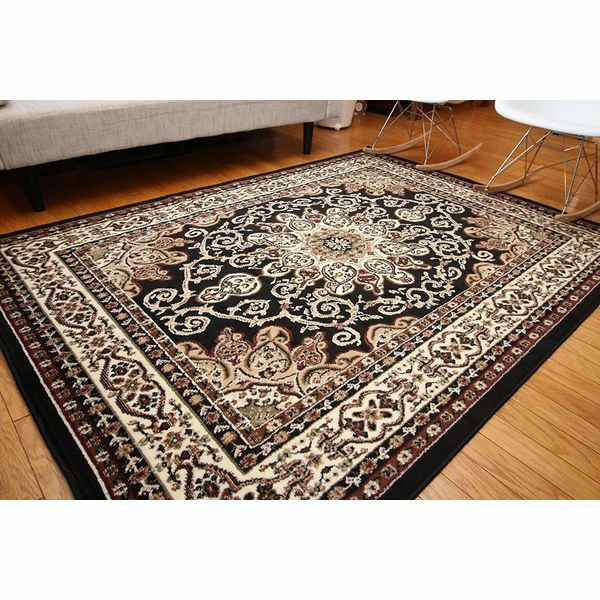 The rug is power loomed with polypropylene yarn, which makes it extremely durable, yet soft to the touch. The really nice thing about this rug is that it is extremely easy to spot clean, so you can forget about having to pay for over-priced cleaning services ever again. 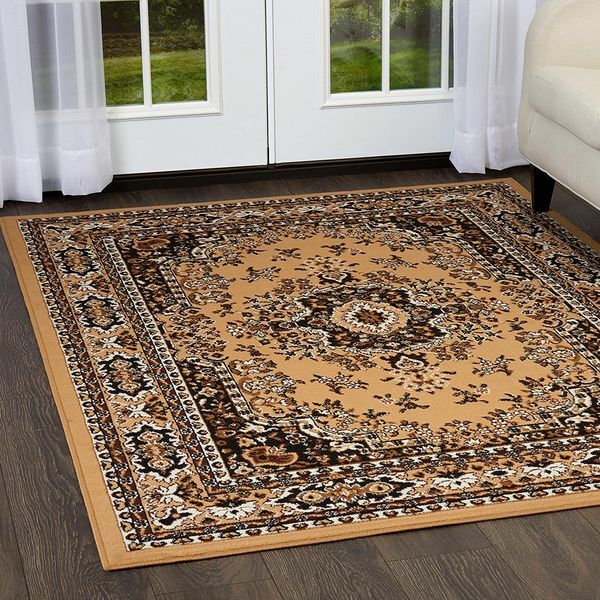 Add this royalty traditional rug to your collection, and just sit back and enjoy the number of compliments you receive from your guests. If features alternating color patterns, which go from dark colors, primarily dark blue, to light colors like shades of brown. It also features plenty of catchy patterns and designs in a collage-like layout that only add to the appearance of this work of art. The power loomed polypropylene yarn give this rug a nice texture that will also last for years to come. You can clean the rug yourself when you do your weekly cleaning. This circular-shaped rug just might make your house feel look and feel like a royal palace. You will really enjoy the abstract patterns used on this that give it that ancient, Mayan-like appearance. The bold color mixtures of maroon, white, gold and tan do a great job of complimenting the patterns. The polypropylene yarn that is power loomed used to craft this rug into a true piece of art that is durable enough to withstand several years of foot traffic. Add this one to your collection today, and be prepared to receive plenty of compliments. 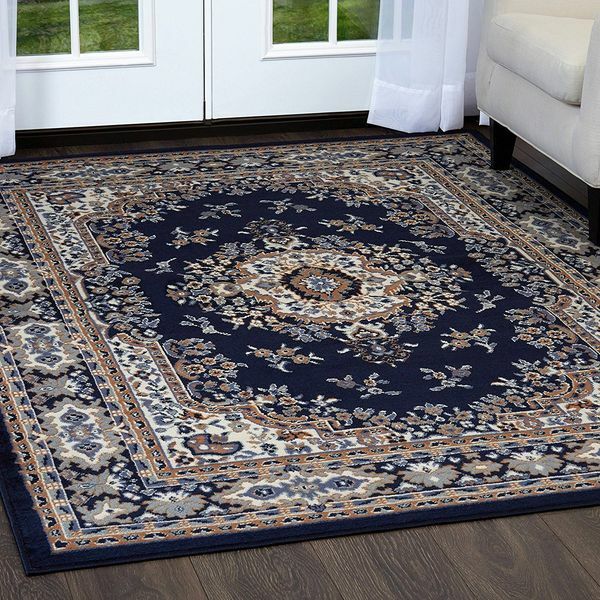 Gorgeous blue shades mix effortlessly with light grays and browns to bring you the traditionally designed Home Dynamix Premium Sakarya Runner Area Rug. 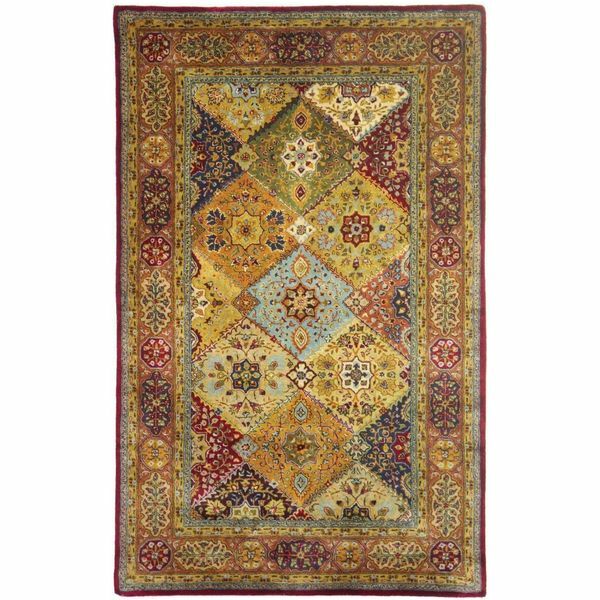 The beautiful rug comes in your choice of sizes and can easily be incorporated into any room that needs a little personality added to it.